Dewesoft power analyzer offers combined motor and inverter testing solution with a high number of voltage and current input channels. It is possible to measure eight 3-phase systems along with temperature, vibration, RPM, torque, CAN, etc. within just one device completely synchronized. 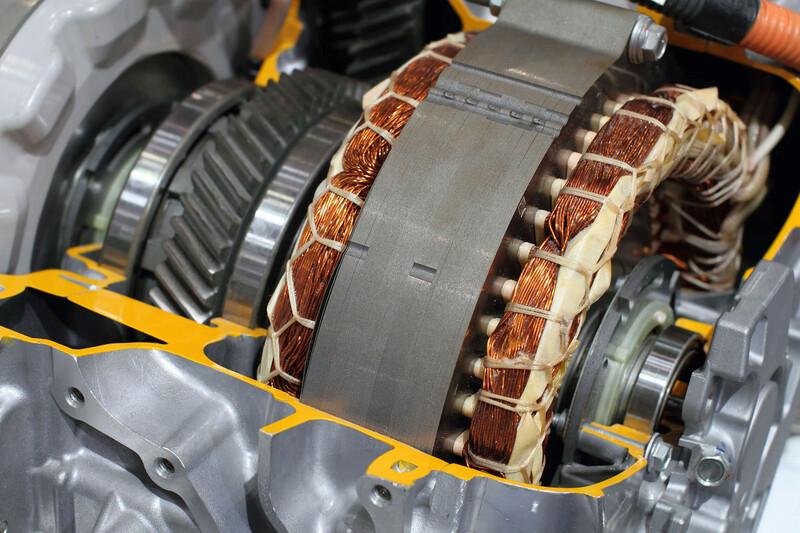 Motors have to fulfill higher and higher requirements concerning energy efficiency. 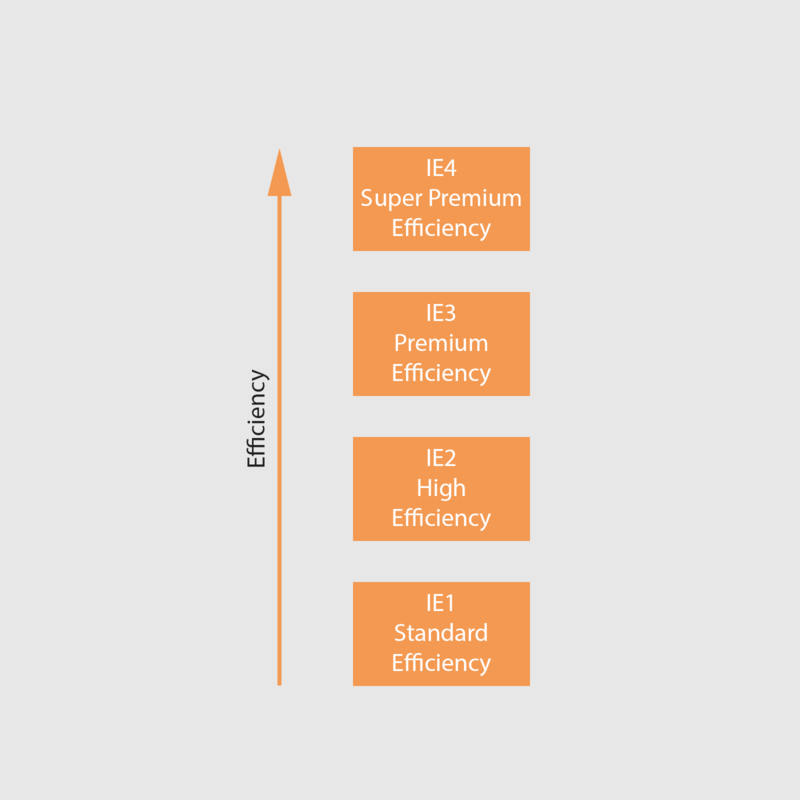 Since 2011 all asynchronous motors have to be at least level IE2 according to the IEC 60034 standard. Before this standard was established losses were considered at 0.5%. Now they have to be determined. The efficiency and losses determination of motors require the highest accuracy of the whole measurement chain. 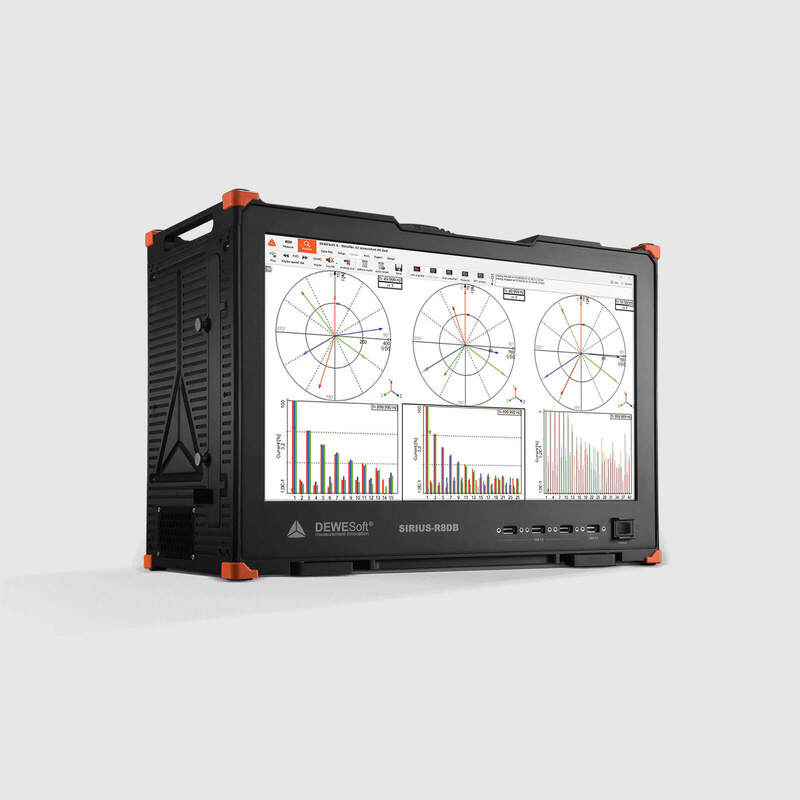 The Dewesoft power analyzer solution and the possibility of the additional software sensor calibration guarantee highest accurate measurement results. The modular hardware concept allows measuring 1 to 12-phase motors as well as the mechanical parameters like speed, torque, and deformation. It’s also possible to measure additional parameters like vibration, sound-level, temperature etc. 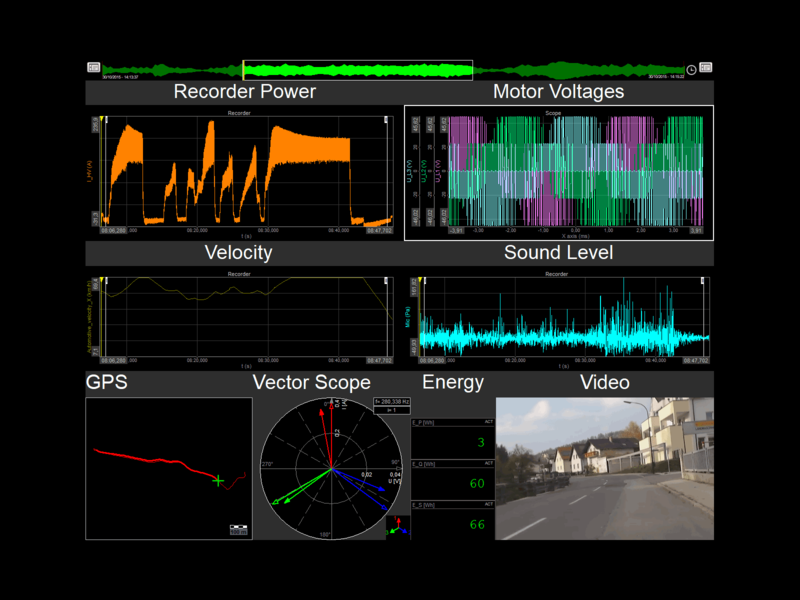 Power quality analysis​​​​​​​ (fundamental power, harmonics, THD, etc.) complements the analysis capabilities. The Dewesoft power analyzer allows comprehensive and high accurate analysis for all kind of inverters. Combination of modular, highly accurate system allows measuring all input/output configurations (up to 7-phase AC systems). Fundamental frequencies from 0.5 Hz up to 3 kHz as well as switching frequencies up to some hundred kHz can be analyzed. From efficiency determination to detailed analysis of each switching pulse. Raw data storing allows analysis and presentation of each individual switching pulse (e.g. transient behavior in scope). The power quality​​​​​​​ module automatically calculates THD, harmonics, etc. Transient recording allows capturing voltage and current peaks (e.g. at long cable lengths). High-edge steepness of the inverter output (up to 10 kV/μs) can create capacitive leakage or high motor bearing currents. These factors can harm the motor. Dewesoft can measure all these parameters easily. All analysis is possible during measurement itself. Voltage steepness (dU/dt) of every impulse can be determined and statistically classified. This analysis possibility makes the design and testing of inverters and filters exceptionally easier. 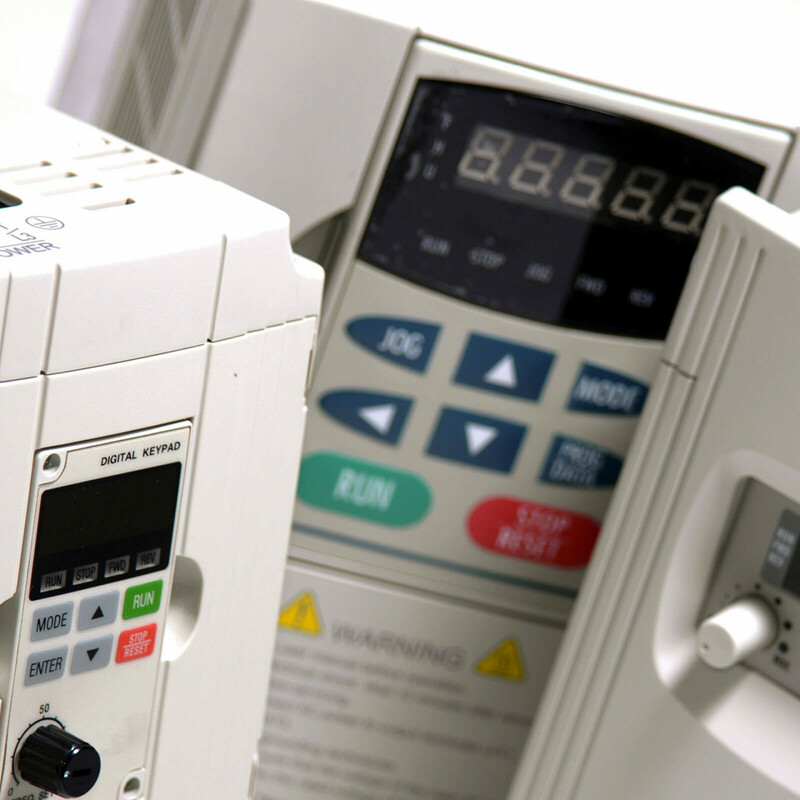 Combined motor and inverter testing require a high number of input channels for voltage and current measurement and completely synchronized data acquisition. The Dewesoft solution makes it possible to measure 8x 3-phase systems within just one device. This unique feature allows measuring the whole power systems (e.g. electric vehicle, aircraft, ship) completely synchronous. It combines all the functionalities of the motor and inverter testing as described above and further allows to measure other parameters like speed, torque, temperature, video, GPS, CAN and a more. 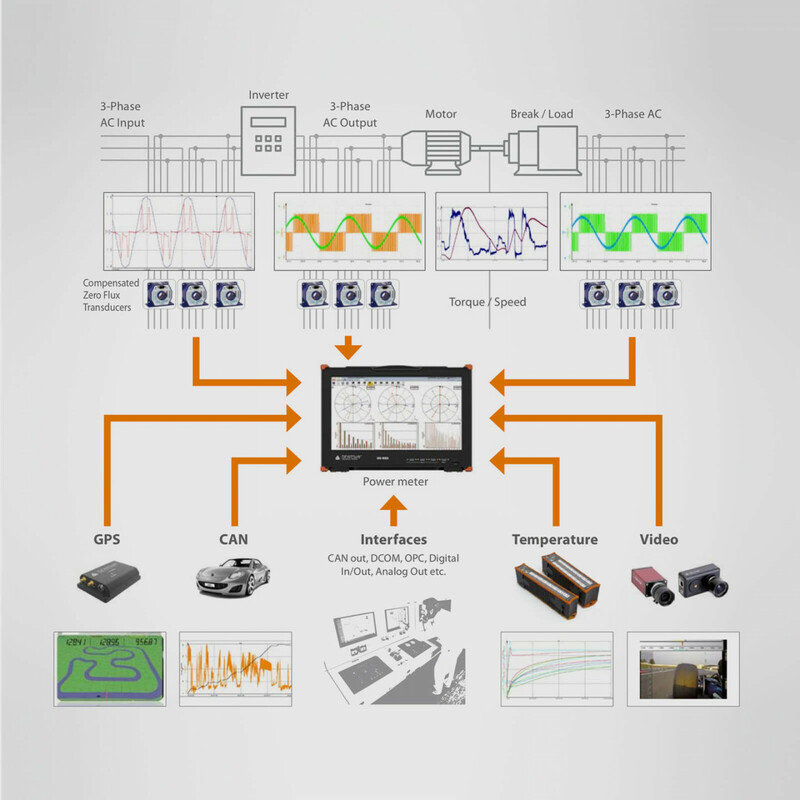 Up to now, typical testbed applications required few devices (Power Analyzer, Oscilloscope, Data Logger, CAN logger). Our solution makes it possible to measure and analyze all these with just one device. Data is stored raw, with the full sampling rate and all analysis can be done online. The unique post-processing functionalities allow you to perform analysis (mathematics, power analysis) after the measurements. It’s even possible to change settings or correct for example phase voltages if they were connected wrong. In this case, the measurement doesn’t have to be repeated. This is the completely new workflow that gives you a lot of freedom and flexibility. Additional measurements like speed, RPM, torque, temperature, vibration, deformations, etc. Additional inputs - analog, digital, CAN, GPS, video, etc. For more information visit R2DB and R8 DAQ system product page.